Austin, TX USA, January 17, 2018 – For the 4th year in a row, LawnPop of Austin, TX has won “Best Of Customer Service” on Houzz®, the leading platform for home remodeling and design. The premiere artificial turf company was chosen by the more than 40 million monthly unique users that comprise the Houzz community from among more than one million active home building, remodeling and design industry professionals. Follow LawnPop on Houzz LawnPop is the premier synthetic grass putting green design and artificial grass installation company in Texas. Based out of Austin, Texas — LawnPop has doubled in growth each year to become the #1 artificial turfinstaller for commercial and residential projects all over Texas. 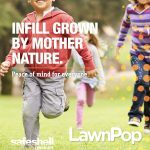 LawnPop includes several different varieties of Synlawn artificial grass styles for commercial and residential applications including landscaping, pet areas, play areas, and uncommon areas such as yoga lawns, rooftops and patio decks. For the ultimate in realistic golf putting green performance, LawnPop is the solution. The Shotstopperis the most realistic golf putting and chipping green system in the industry. Clients include the Fairmont Hotel, Whole Foods, Google, Nest, Central Market, and many more. LawnPopSynthetic Turf is the exclusive Synlawn supplier for Central Texas. About Houzz Houzz is the leading platform for home remodeling and design, providing people with everything they need to improve their homes from start to finish – online or from a mobile device. From decorating a small room to building a custom home and everything in between, Houzz connects millions of homeowners, home design enthusiasts and home improvement professionals across the country and around the world. With the largest residential design database in the world and a vibrant community empowered by technology, Houzz is the easiest way for people to find inspiration, get advice, buy products and hire the professionals they need to help turn their ideas into reality. Headquartered in Palo Alto, CA, Houzz also has international offices in London, Berlin, Sydney, Moscow, Tel Aviv and Tokyo. Houzz and the Houzz logo are registered trademarks of Houzz Inc. worldwide. For more information, visithouzz.com.